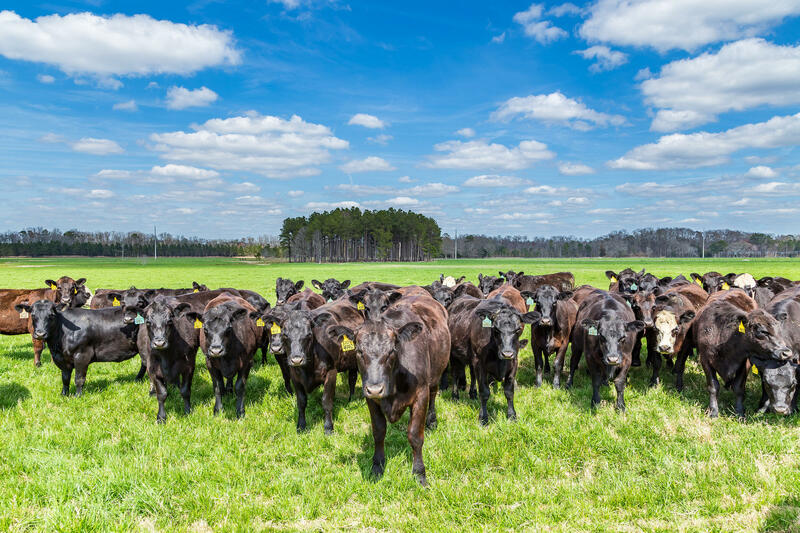 A Sustainable Alternative To Beef, Pork, And Chicken? Try Crickets. 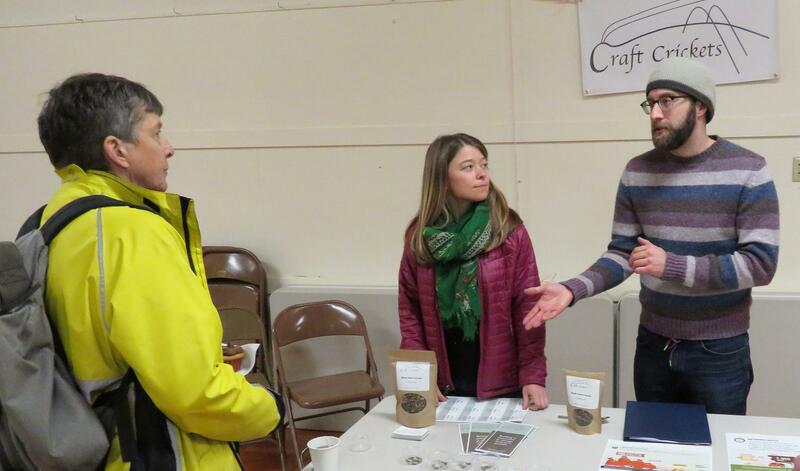 Several curious Audobon Society members check out Craft Crickets' table. Miller shows off a pan of "pinheads" in Craft Crickets' nursery. "Pinheads" in a pan. Miller figures 50,000 eggs are in here. In the next room, are 180 totes with crickets in various stages of development. 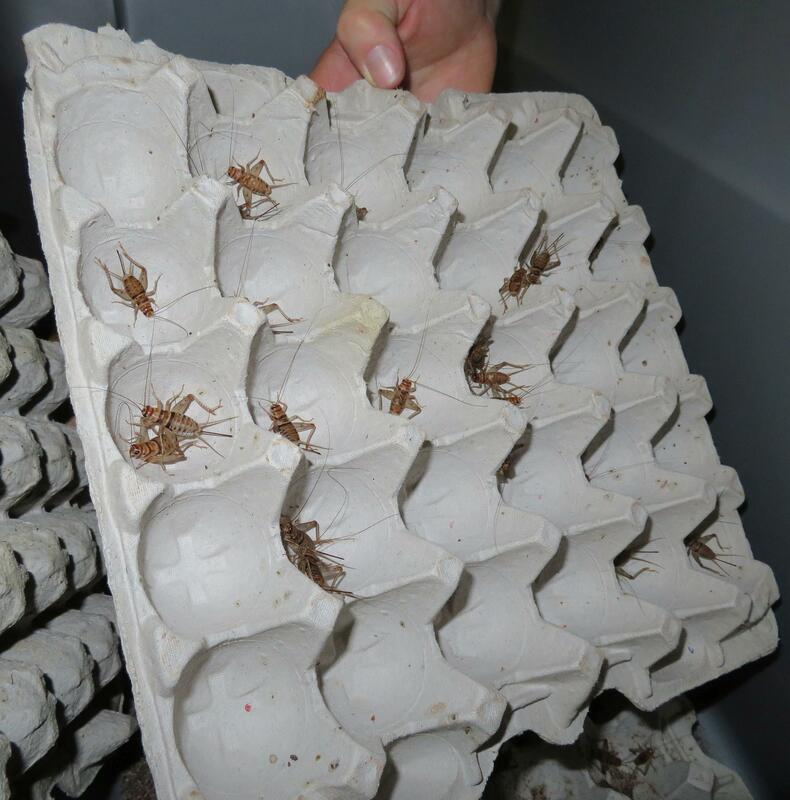 Inside a bin, crickets nestle inside egg cartons. Visitors learn about cricket farming up close. 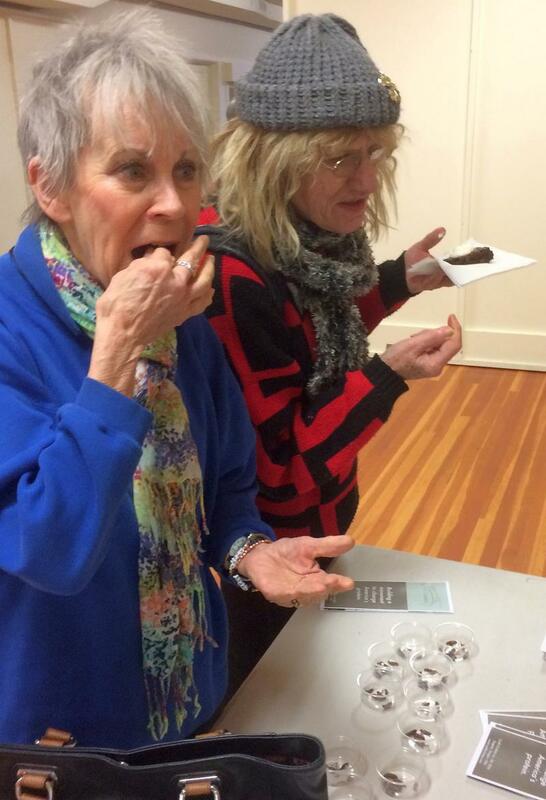 Audobon Society members try their first crickets. Those who sample crickets are given a sticker: "I eat BUGS"
A couple entrepreneurs in Eugene say they have a great protein source that uses a mere fraction of the land and water that cattle use. So if you’re adventurous and open to what some might consider a creepy, crawly, dining experience…you too can help the environment while enjoying a nutritious – albeit six-legged -- entrée. KLCC’s Brian Bull serves it up. “Have you ever…eaten a bug before?” asks Austin Miller. He and Zoe Anton are co-founders of Craft Crickets. The pair are at an Audubon Society gathering in Eugene, hosting a table covered with pamphlets on crickets’ nutritional qualities. 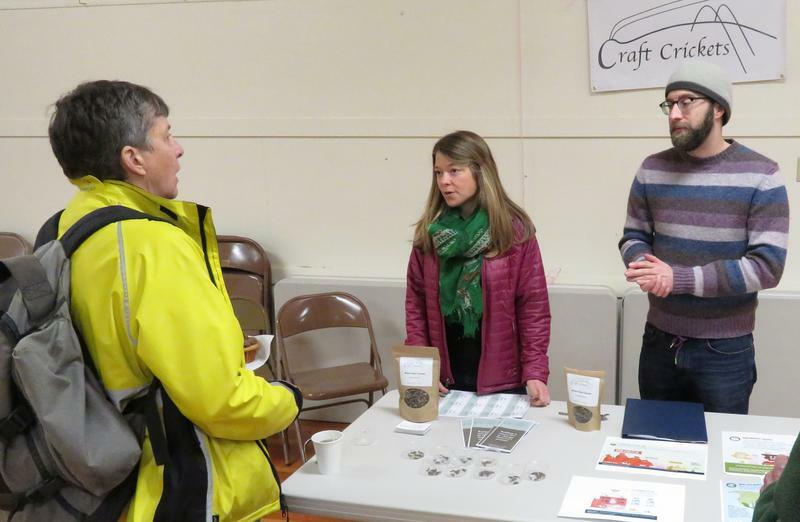 Craft Crickets co-founders Zoe Anton and Austin Miller represent at a recent meeting of the Audobon Society in Eugene. Anton offers small plastic cups containing samples. “These are dried, roasted crickets, we raise them right here in Eugene…” she says, as people approach. One woman warily eyes the cups of bugs. She is Joyce Baker, a member of the Audobon Society. Miller smiles, and engages Baker. "Can I interest you in trying some?" he asks. "I’m a little embarrassed as an outdoorsy person to say I don’t think I want to put a bug in my mouth,” replies Baker. 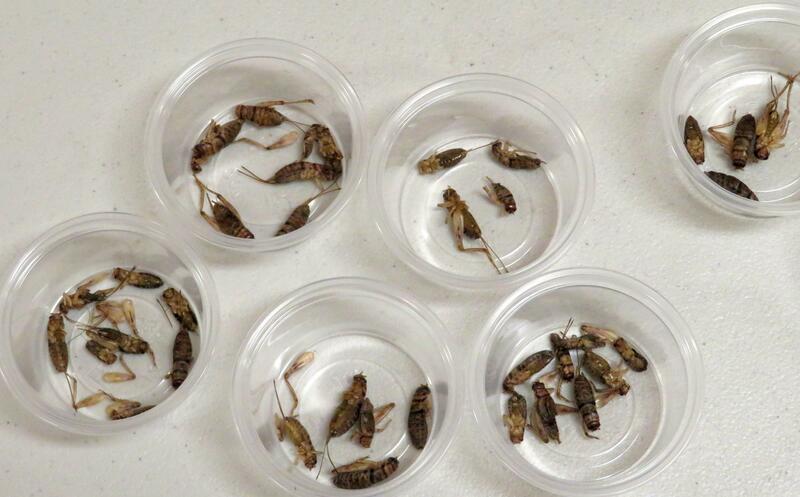 Samples of dried crickets as prepared by Craft Crickets of Eugene, OR. We’ll get back to the Audubon Society and see how those cricket snacks go over later. Now it’s time to visit Craft Crickets on site. It’s in West Eugene…right behind a Burger King. Anton opens up a small, humid tent. Austin Miller emerges. Austin Miller emerges with "pinheads" as Zoe Anton holds a tent flap open. 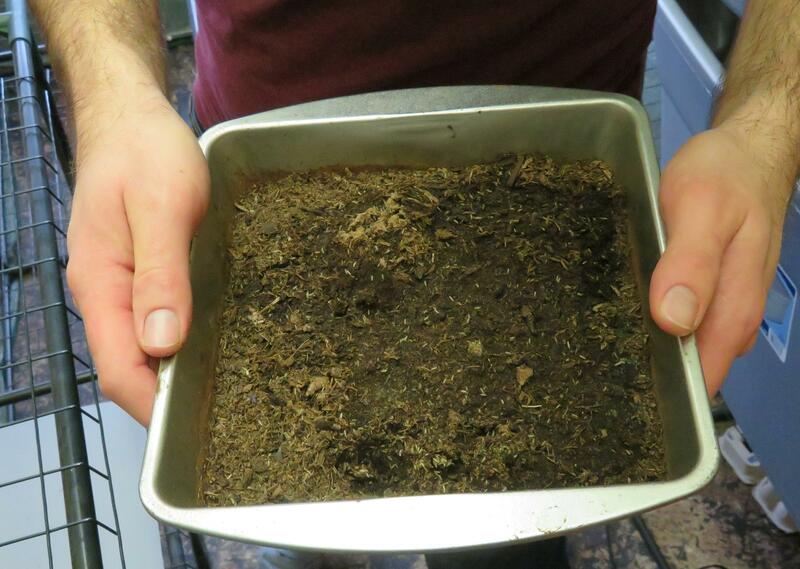 “If I dig a little hole with my finger, you can see how, there are maybe 50,000 eggs in this 8”x8” pan,” he says. "And this stage is called ‘pinheads’ because they’re the size of a pinhead," adds Anton. The next room is stacked floor to ceiling with nearly 200 plastic totes. Miller figures they’ve 940,000 crickets here. "So I just recorded a few thousand guys saying, ‘Hey, check me out?’" I ask. Miller and Anton met in London. He’s a former finance manager for Amazon, while she worked at a sustainable development consulting firm. Last year they put down $25,000 for this warehouse space of 2400 square feet. That may seem sizable for crickets, but Miller says it’s nothing compared to what’s needed for a beef steer. Cattle steer. Proponents of bugs as food say they take up far less acreage and resources compared to beef, pork, and chicken. Craft Crickets doesn’t have a slaughterhouse. Miller says they’re only licensed to raise them on-site. For harvesting, they use a local kitchen down the road. Within 24 hours, the crickets die. They’re then cleaned, blanched, and baked. Craft Crickets’ mission of providing more sustainable forms of protein is backed up by the United Nations, which released a report in 2013. 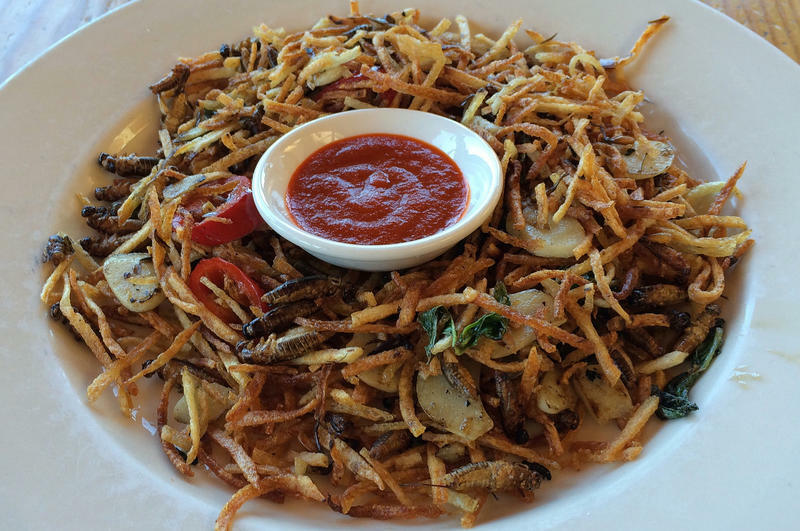 It argues eating bugs helps alleviate environmental impacts as well as hunger. Some researchers - including May Berenbaum, Head of Entomology at the University of Illinois – say there’s further justification for eating bugs. 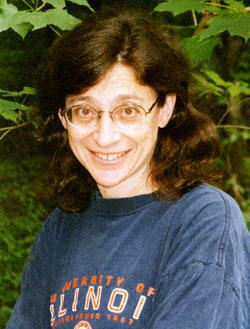 Berenbaum says our manual dexterity and brains evolved from our ancestors seeking out ants or termites from nests, and grubs living under bark. So crickets aren’t really a big stretch for us to snack on. 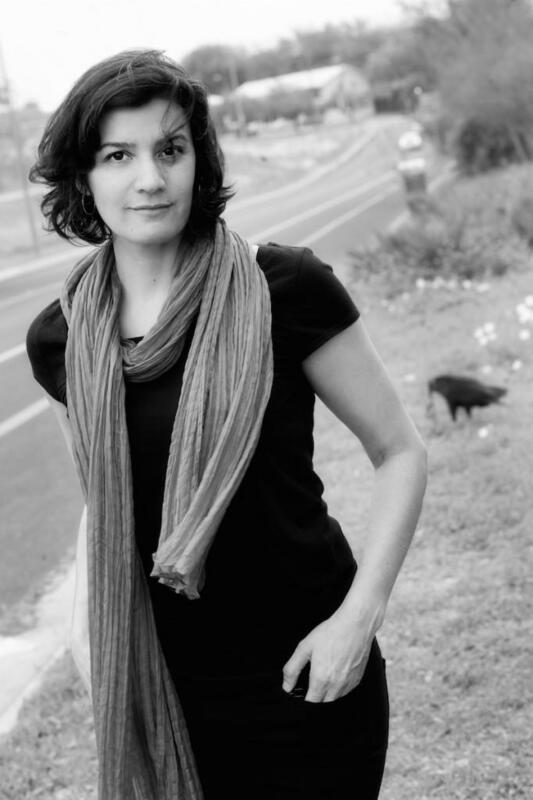 Zoe Anton says the younger someone is, the more receptive they are to eating a cricket. 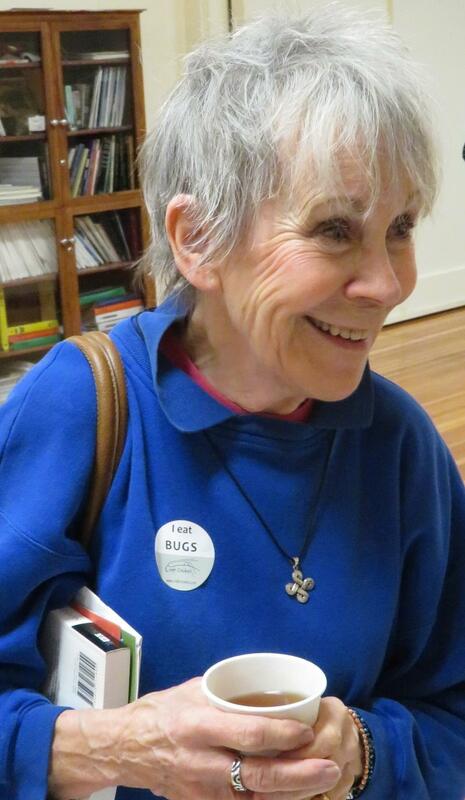 So let’s go back to the Audubon Society, where we left Joyce Baker ready to try her first cricket. “Someone should hold my hand," says Baker, resignedly. “Don’t look at it! Yeah, there you go,” coaches Anton. 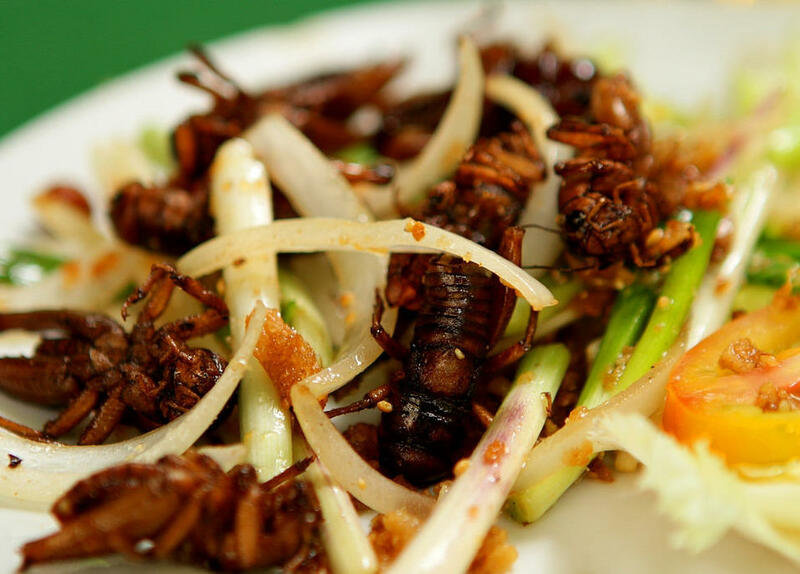 Fried cricket, served in Thailand. 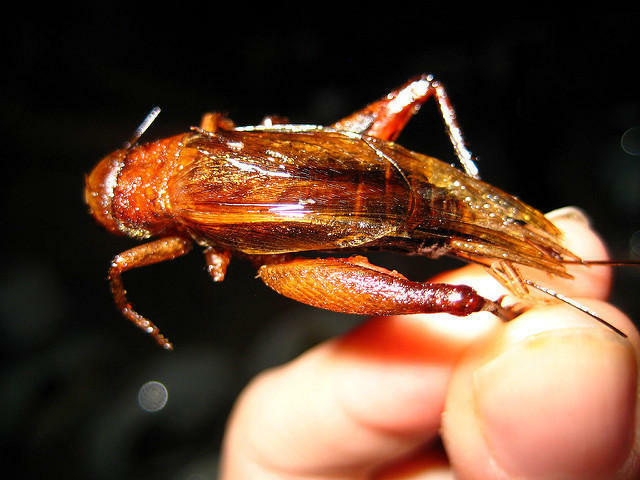 Many nations across the world consume insects, including crickets. “Num num num num…it tastes a little like sunflower seeds. It’s tasty!” exclaims Baker. I ask her if she's now a convert. Other Audubon Society members liked them, too. One woman declined, telling the Craft Cricket founders she’d just brushed her teeth. Miller and Anton say they’ll keep pushing the benefits of crickets. WEB EXTRA: Reporter Brian Bull eats a few crickets. WEB EXTRA: Find out what 940,000 crickets listen to to pass the time. Meera Subramanian is an independent journalist, Fulbright-Nehru scholar, and author of the book A River Runs Again, which tells the stories of ordinary people and micro-enterprises seeking to rescue India's natural world from crisis. It connects to the eight years Meera spent at Aprovecho Research Center in Cottage Grove, exploring a sustainable life. She returns to speak at the University of Oregon on Thursday, October 29th, and at the Axe and Fiddle in Cottage Grove on Sunday evening, November 1st. She speaks with Eric Alan. The University of Oregon's Sustainable City Year Program is moving east of the Cascades for the first time in its six year history. The program brings together UO students and faculty with members of a different Oregon city each year. 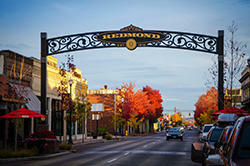 Redmond has been selected and will benefit from more than 40,000 hours of student work aimed at improving sustainability, infrastructure and livability. Redmond's Community Development Director Heather Richards says they're getting started April 8 with a bicycle tour of existing infrastructure. 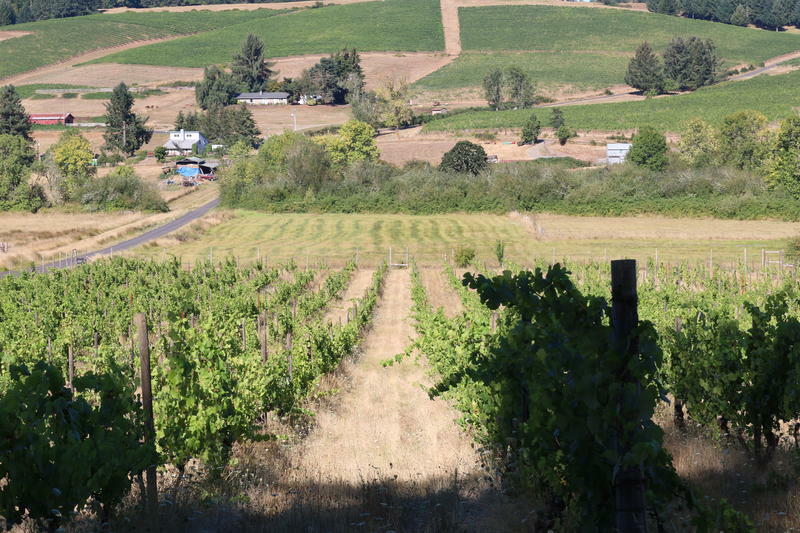 King Estate winery will officially be certified biodynamic this year. This is the latest in a long line of environmentally sound practices at wineries across Oregon. 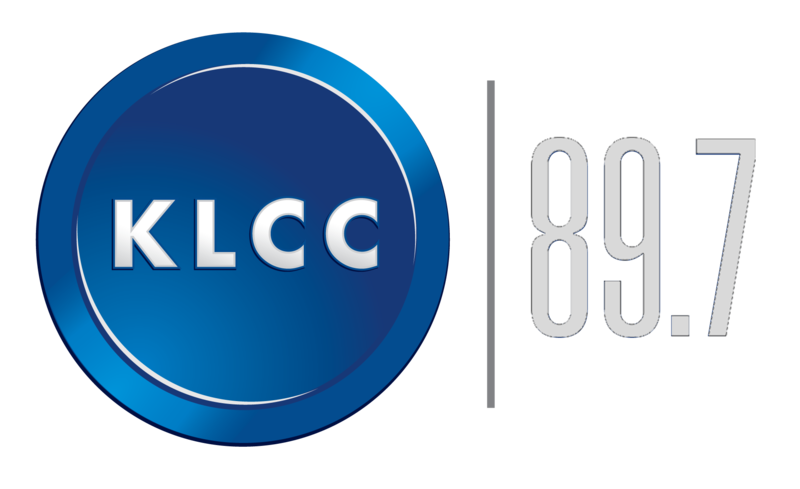 KLCC’s Kira Hoffelmeyer takes a look at whether these efforts matter to wine drinkers and others in the industry.